Google is no longer making it easy for pirates to quickly find decent torrent sites. Following numerous reports that the company had begun displaying suggestions for popular torrent platforms straight at the top of Search, the internet giant has now amended its mistake and removed the results carousel in question. 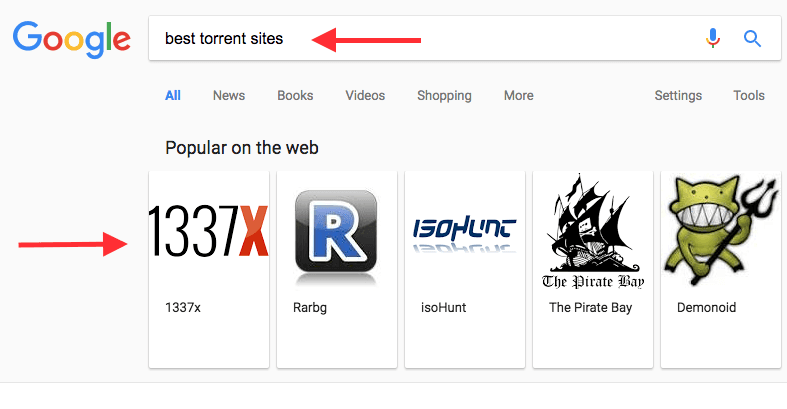 Previously, users searching for the keyphrase ‘torrent sites’ or ‘best torrent sites’ were presented with a curated carousel, linking to notorious torrent websites like The Pirate Bay, RARBG and IsoHunt. The carousel also seemed to wrongly recommend legitimate streaming services like Hulu and Crackle alongside a series of illegal alternatives like Putlocker and Alluc. In response to this blunder, a spokesperson for the Big G later clarified that the displayed results were all “generated algorithmically” and did not “reflect what [the company] had in mind for this feature” – and it seems Google has finally fine-tuned the algorithm to avoid such mistakes in the future. In addition to filtering out illegal streaming services from searches for ‘streaming sites,’ Google has also completely blocked the results carousel from displaying torrent sites. Instead, looking up ‘best torrent sites’ pulls up a truncated version of a recent blog entry about the “Top 10 Most Popular Torrent Sites of 2017” from Torrent Freak. While users can still find a list of popular torrent sites there, displayed results no longer link directly to them.